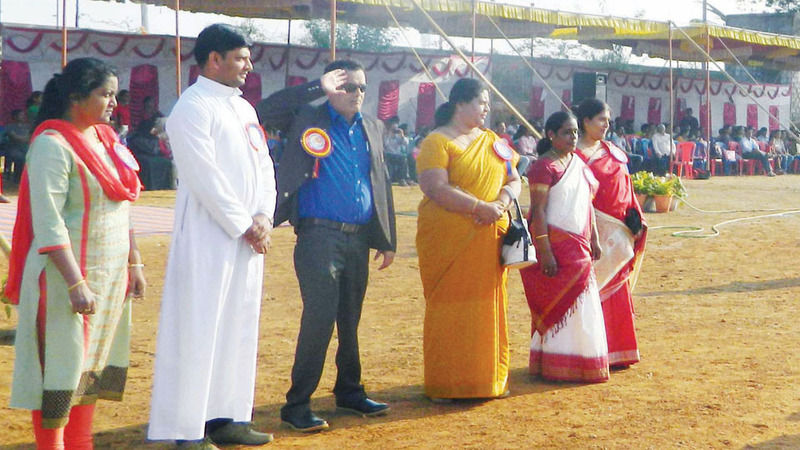 St. Joseph’s Central School, Vijaynagara, recently held its Annual Sports Meet at its premises. The sports meet was inaugurated by Paralympic Table Tennis Player R. Srinivas by releasing the balloons and lighting the sports torch. Rev. Fr. Jomy, Principal, St. Joseph’s Central School Vijaynagara, Joyce Lobo, CEO of St. Joseph’s Institutions, Mysore and co-ordinators Nirmala, Joshwine, Jackline were the guests of honor. Kashinath, Physical Education Teacher, St. Joseph’s Central School Vijaynagara, Sports Committee members and school staff and parents were present.